Welcome to the first ever My Life in Arts n’ Crafts design team blog hop. I’m please to announce my very first design team for My Life in Arts n’ Crafts. I have a group of very talented ladies on my team. Please welcome Tanner, from Tanner Bell designs for day one and Melissa on both days. There are some amazing products in the My Life In Arts n’ Crafts. Some these products are some your not use to seeing, I’m sure. 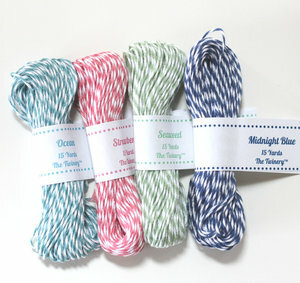 For today we are focusing on the fabulous Jute twine available in My Life in Arts n’ Crafts Store. It comes in 9 fabulous colors. For the first Projectthis is a project I showed a few hops ago but now you can get those fabulous colors. this is the Patriotic pack. For the Second one im showing some of the Natural Jute Twine. 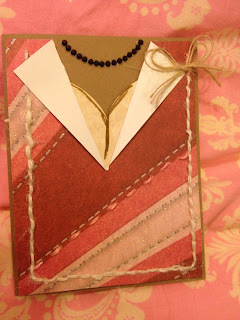 And for this last one I used the ivory and the pink along with the sew easy tool. Make sure to leave some comments on every ones blog as well as following along with this group of talented people, because I am giving away some products from the store. Please hop on over to… Tanner from Tanner Bell Designs. Looking forward to your blog hop and meeting your DT and guests. I think I must be the only crafter in the world who has never ever used twine. I'm back Jearise and Melissa didn't have anything yet on their blog. I'll check back on them tomorrow. Great cards, the sew easy tool sounds interesting. I love all your projects but really like the ladies' shirt card so unique. Thank you for letting me be part of this great team. Great job friend! 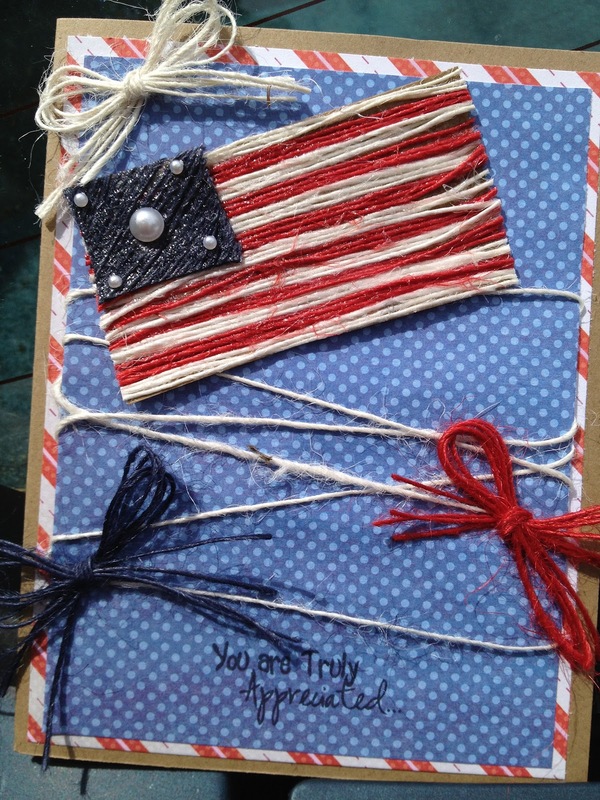 Love the different jute colors! The cards are super fun too! Wow, what a lovely assortment of projects and products. I have never used jute before but it looks VERY interesting as a way to dress up projects and the colors are "to die for". I have a sew easy but haven't used it very often - you inspired me to work with it. TFS! Loved the hop! Jearsie blog link isn't working? Lol I'll check later:) great job friend! Your store will be a huge success! I love these cards. They are really cute. wow wonderful cards! Love the twine on that first one! Thanks!